It seems to Smurfette that everyone else in the Village has a purpose — Papa Smurf (leading), Baker Smurf (baking), even Grouchy Smurf (grouching) — except for her. So what's the only girl in the village to do? Go in search of hers, of course! When she accidentally crosses paths with a mysterious creature that takes off into the Enchanted Forest, she follows, and sets off into the uncharted and strictly forbidden woods. 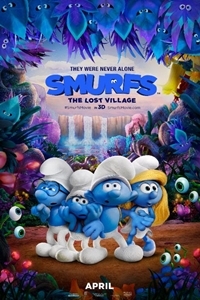 Joined by her brothers Brainy, Hefty and Clumsy — and with the evil wizard Gargamel shadowing their every step — Team Smurf undertakes a wild journey full of action, danger and discovery, setting them on a course that leads to the biggest mystery in Smurf history!